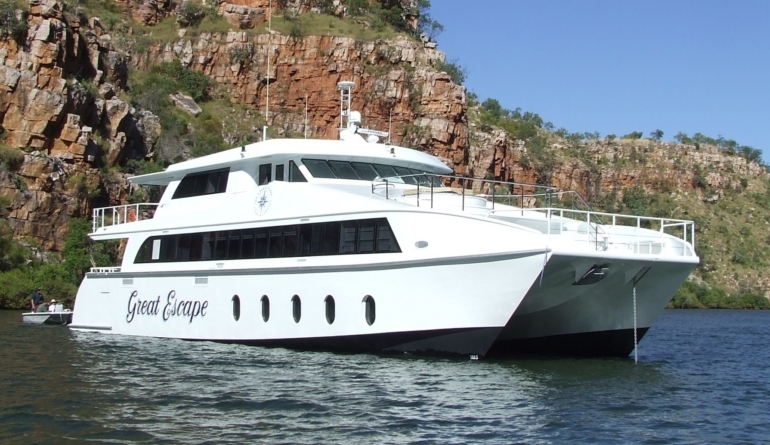 In 2005, GMD was commissioned directly by the owners of the Great Escape Charter Company, to design the new catamaran cruise vessel, following their success with the previous GMD designed 23m monohull “Kimberley Escape”. 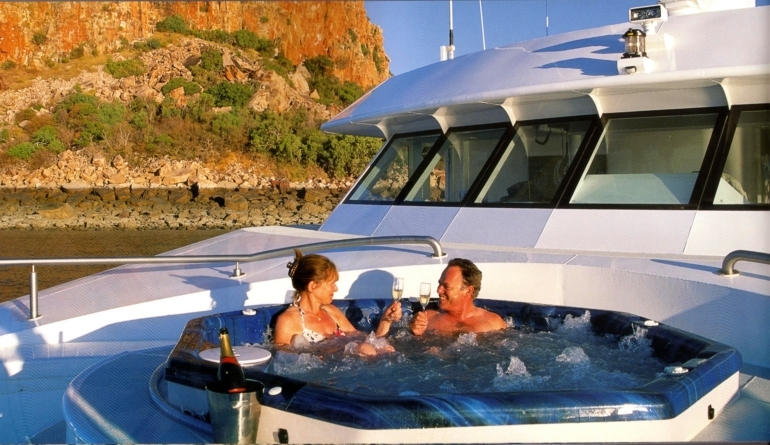 Chris Tucker and his partner Kylie Bartle sat with Gavin Mair over a period of days and explained their requirements. 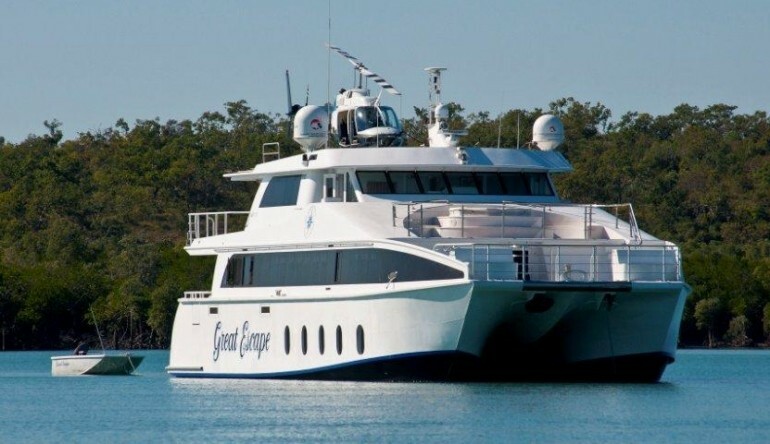 The GMD design team then went into advanced computer modelling so that the look of the vessel from all angles would be attractive. 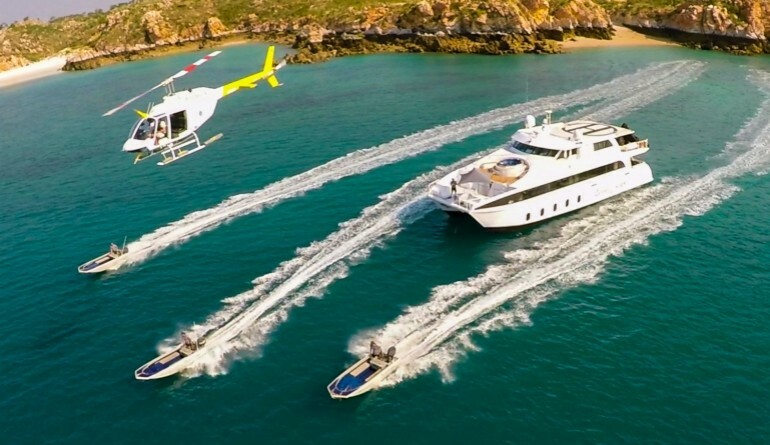 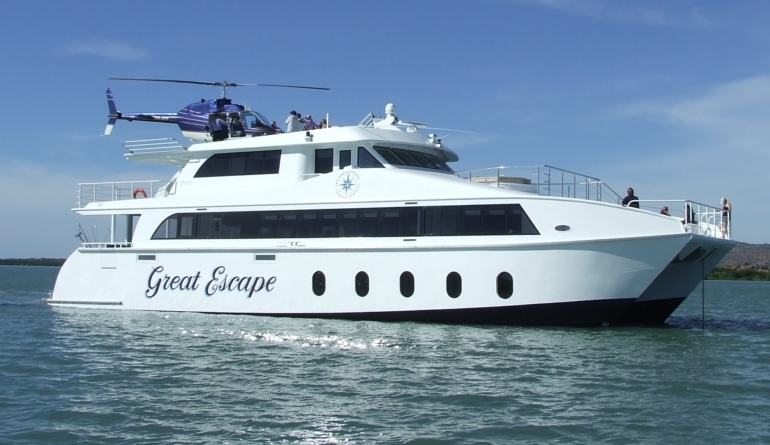 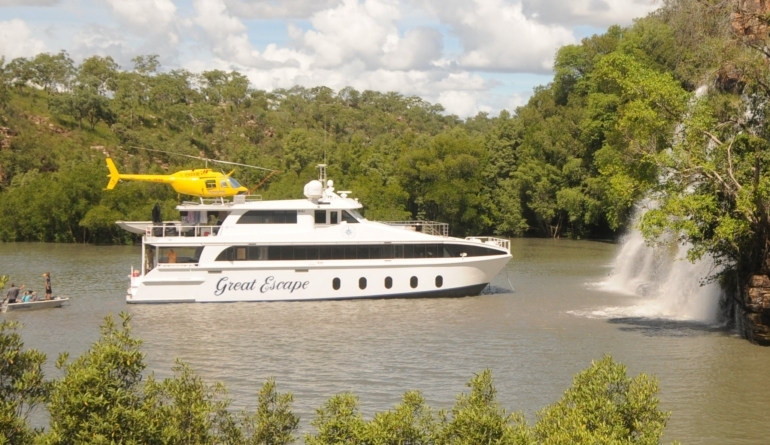 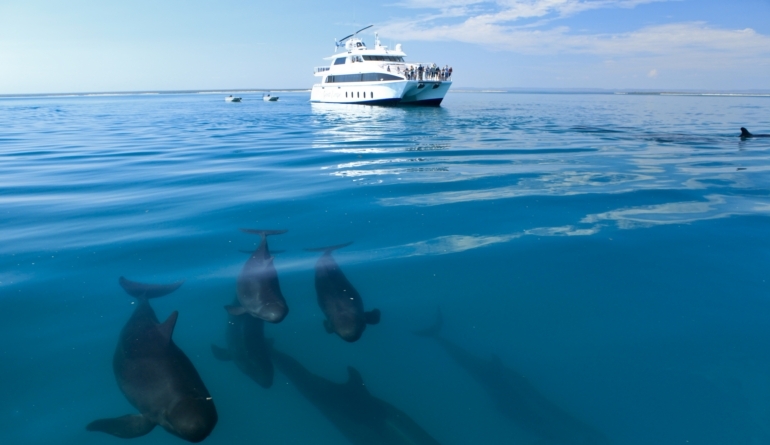 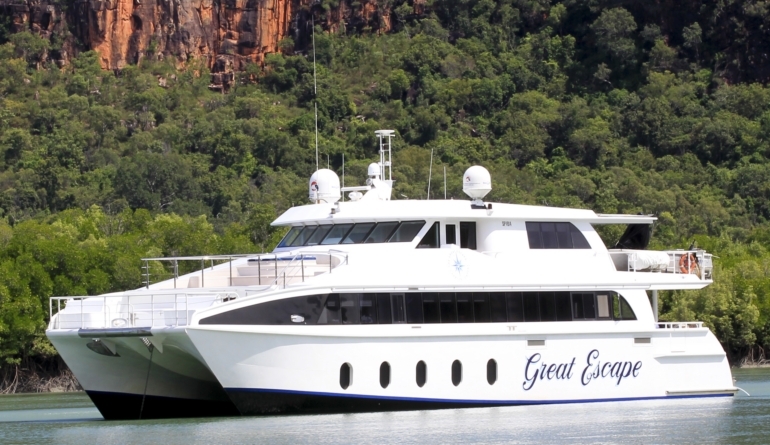 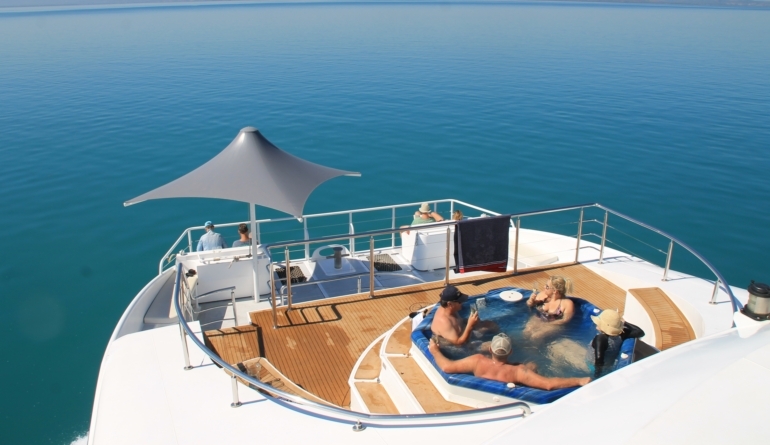 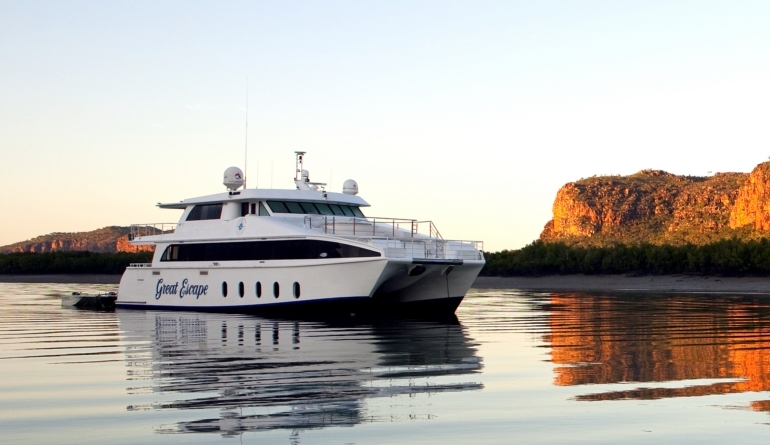 The “Great Escape” has been a huge success with its luxury charters in the Kimberley region of Western Australia. 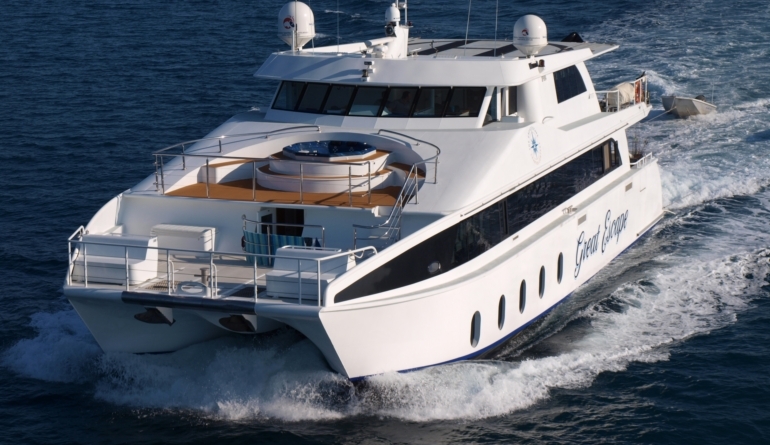 In 2014 GMD refreshed this kitset (now MK14111) with refined lines and Lloyds compliant (stamped approved) structure and this vessel is currently under construction in Thailand for use in marine park patrol and monitoring. 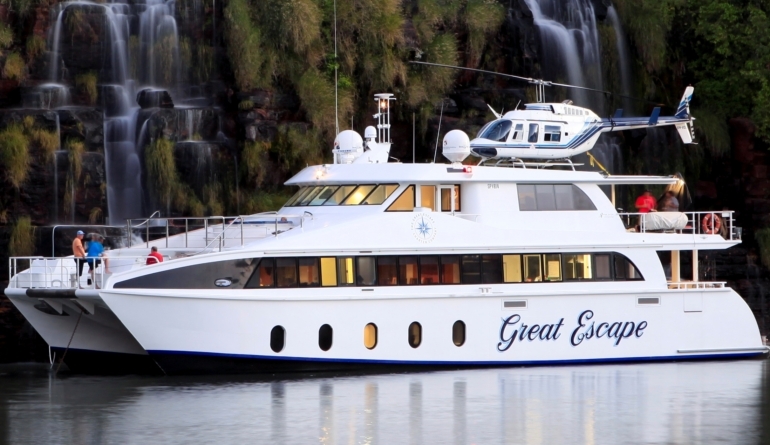 A big thank you to Daniel Greening, resident chopper pilot aboard the “Great Escape” for allowing us to use his fantastic video which gives a snapshot of life in the Kimberleys.